A bit early, but...something's changed. Something that tells me that it's necessary now. It’s not about who I am, but what I know. I’ve planted the seeds to watch my roots grow. A mountain to the North. This land calls the distant ship forth. The child waits by the window. And in the valley below. None with the ‘early-morning’ glow. A voice on the radio. For the commuters on the bridge. Working to fill that fridge. We’d just replace our circuits. About the way we are. From the ground to the stars. They are made up of many parts. And this sea was sailed. And that mountain was scaled. 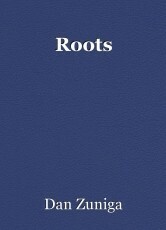 Have we laid our roots. So we may relax our boots. Our faults and our wills. And kick in your heels. And turn about your wheels. The sight of my last stand.